It was useless to worry – instead, I decided to rehearse. So, I closed my eyes and visualized the stage and the audience. In the middle of the night I imagined myself as a great presenter, capturing everyone’s attention, and I commented all my slides, one by one. After that I felt more relaxed and I rested. The next morning I was anxious but calm. I presented my research to the audience of experts and answered their questions to the best of my knowledge. 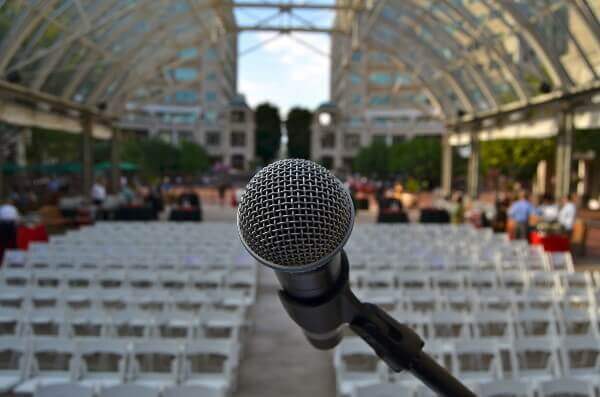 Why are we nervous about speaking in public? I am sure that you too have felt nervous before making a presentation in English – we all do. So how do you handle your anxiety? Speaking in public is not easy, and speaking in public in a foreign language makes it doubly challenging. 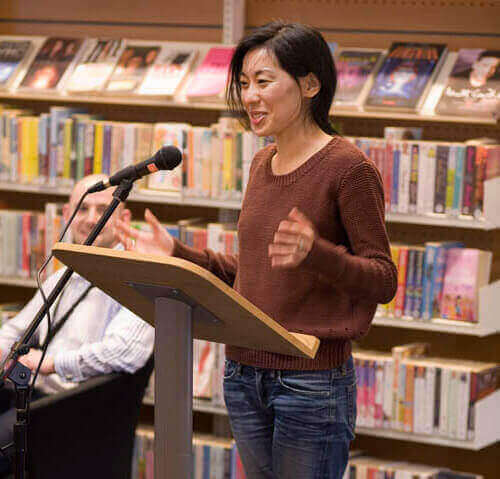 In this article we’re going to look at your fears and worries when you have to deliver a presentation or speech in English, and show you how you can overcome them. When speaking to an audience in English, which of the following sound familiar? Let’s look at each one of these together and see how you can deal with them. Many non-native speakers of English think that their level of English is not good simply because they don’t have a native speaker accent. They are mistaken! A foreign accent is fine as long as the message is understandable. Mispronouncing short and long vowels: ‘sheep’ (pecora) has a long ‘i’ sound whereas ‘ship’ (nave) contains a short ‘i’. If you want to improve your English pronunciation in general, don’t forget to check out our guide to pronunciation. When you are preparing your presentation, ask a friend or colleague to listen to you and to pinpoint the words that are not pronounced well or not easily understood. Then rehearse those words and sentences until they flow out naturally. Remember that you can use online dictionaries to listen to the pronunciation of words. If you practice regularly, even the hardest words will become easy to say. True enough: stress impedes our thinking and prevents us from finding the right words. However, this is also true for native speakers. To fight this problem, you need to prepare yourself thoroughly. Under stress we all have a hard time finding the precise words we would like to say. Usually these words are not used very frequently, and so our brains have to work hard to retrieve them. Remember that your brain is a network of interconnected neurons containing words and concepts, so the more often you access some specific neurons, the more accessible they become. 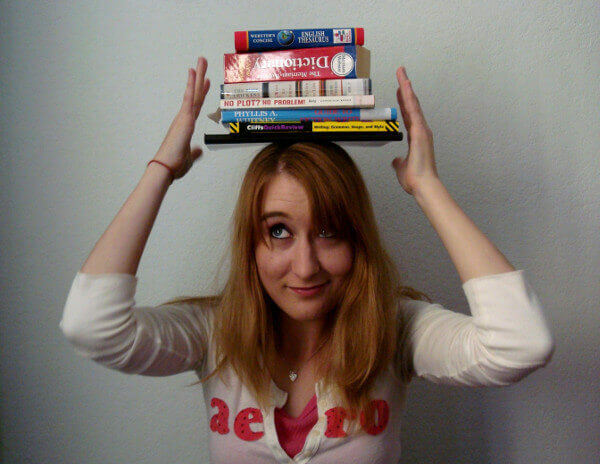 Consequently, if you use some words often, they will come to mind easily – even when you are under stress! This means that you can fight the negative consequences of stress by preparing the vocabulary of your presentation in advance and by rehearsing it continuously. During this preparation, pay special attention to the beginning of your presentation. Indeed, the first few minutes are vitally important: If you start off well, you will develop the rest of your topic with more ease and self-confidence. Finally, remember that words are important, but that the message comes first! Making a good presentation means communicating your message, and you can use many different words. So if you can’t find that one specific term, don’t worry: just keep explaining your idea with alternative words. Fear # 3 – Is everybody going to understand my English? Good news: Being a native speaker of English does not guarantee that your presentation will be clear and understandable to all. Indeed a coherent structure will help listeners follow the flow of your presentation, while your intonation will keep your audience interested. When you are working on the structure of your speech, think first of the objective that you want to achieve. Do you wish to inform, to convince, to entertain or to inspire your audience? Then divide your presentation in 3 parts: introduction, body, and conclusion. In the introduction present the issue and the plan of the presentation. In the body develop the ideas or facts that you would like to communicate. In the conclusion repeat the important information and close the issue. Repeating information will help your audience remember, so don’t be afraid of repeating the main points. In other words tell your audience what you’re going to tell them; tell them; then tell them what you have told them. If you would like to learn more about structuring your presentation, we have more advice here. Intonation is more important than you might think: without vocal variety a presentation very quickly becomes boring and listeners stop paying attention. To capture attention your voice needs to be friendly and expressive. Also, intonation adds meaning. Indeed the same sentence can take on very different meanings depending on the tone used. To check if your voice is expressive and engaging, you can record or film your presentation and listen to it. You will quickly spot the passages where your voice is dull or unpleasant. Then practice each passage while modulating the pitch and stress of sentences until your tone of voice makes your message interesting and clear to understand. Because English is not your native language, you speak more slowly. However, this weakness is also your strength because you need to speak more slowly when speaking in public. Indeed the flow of words in a presentation cannot be the same as in a conversation because presentations contain a lot of new information that has to be digested by the audience. If you move too quickly from one idea to the next, your listeners won’t have enough time to understand, and in the end they will switch off. So if you think your pace is too slow, it actually means that it is just right. 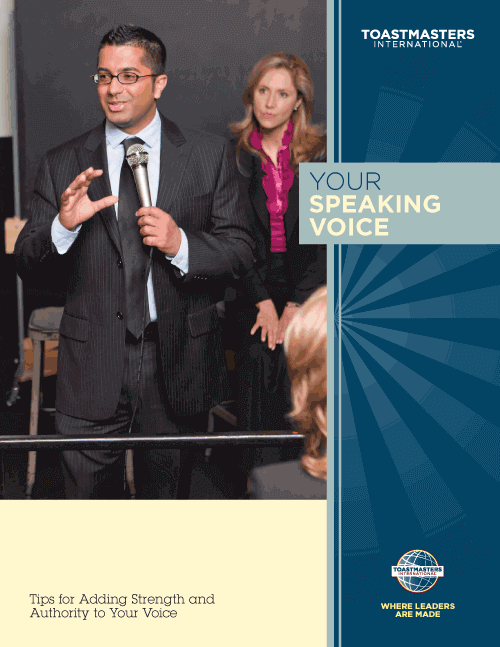 Moreover, like intonation, the right use of timing in your speech conveys meaning – pauses in a speech add emphasis. The second sentence clearly has more strength than the first one. Fear # 5 – Will I understand the audience’s questions? The question and answer session is often the biggest worry for non-native speakers of English. However, you can reduce the stress caused by this part of your presentation by following these recommendations. First, since a presentation or speech is usually an event that you prepare in advance, you can anticipate possible questions. 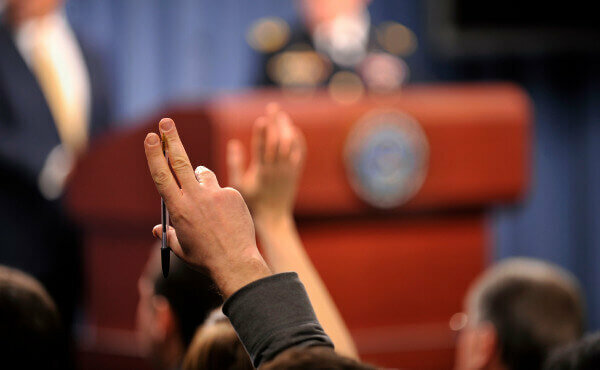 Which parts of your presentation are most likely to be questioned? Once you have identified the questions, you can prepare your answers. Second, remember that you are an expert: if you are presenting a topic to an audience, it means that you know it well – or at least better than the others. In other words, if you are confident about what you know, you don’t need to worry. Thirdly, if you don’t understand a question, you can use some strategies to buy time. For example, you can say, “Could you repeat, please? I couldn’t hear you” or you can ask, “What do you mean exactly?”. There are lots more useful phrases to deal with questions in the downloadable Presentations Phraselist mentioned above. This way you have a second chance to hear the question and to think of an answer. However, if you cannot answer the question, stay confident, write down the question, and say that you will look into the matter later. In conclusion you can overcome your fears of speaking in public and deliver awesome presentations in English. However, the critical factor is preparation. Good presentations are not improvised, but carefully prepared. One final thought: when you practice your presentation, you build up your self-confidence, and self-confidence is the key to a successful presentation. It is a virtuous circle. 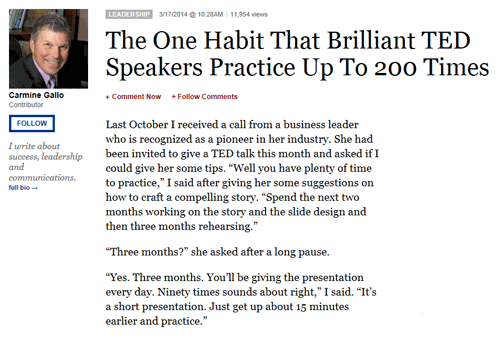 So, how many times will you practice your next presentation? Has this article helped you? Let me know in the comments below – I look forward to reading them.